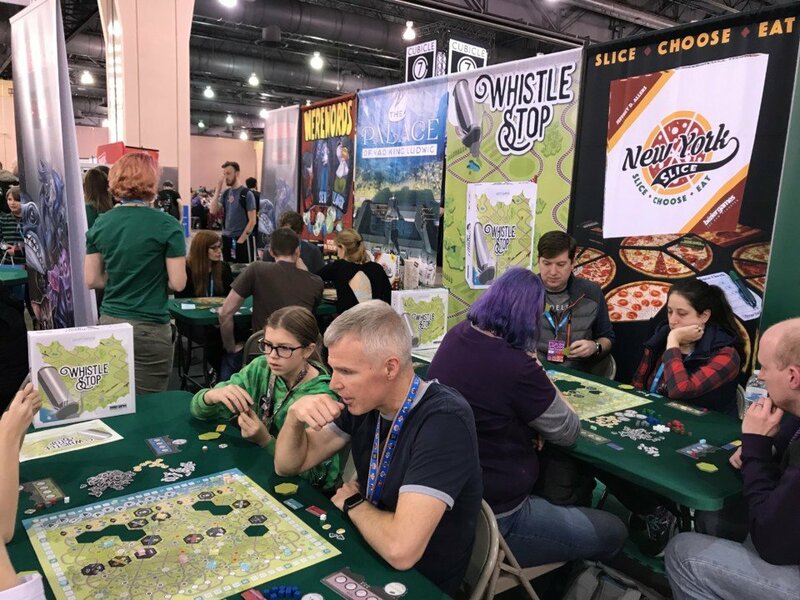 A few months ago I had a chance to go to PAX Unplugged for their inaugural tabletop convention. 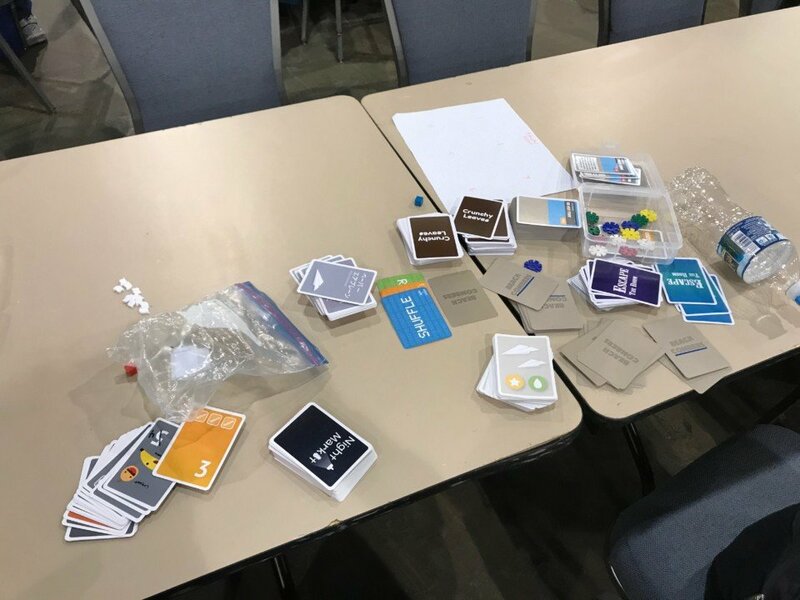 The convention, though smaller than Gen Con, felt sizable and familiar—perhaps because of my experience with PAX West. 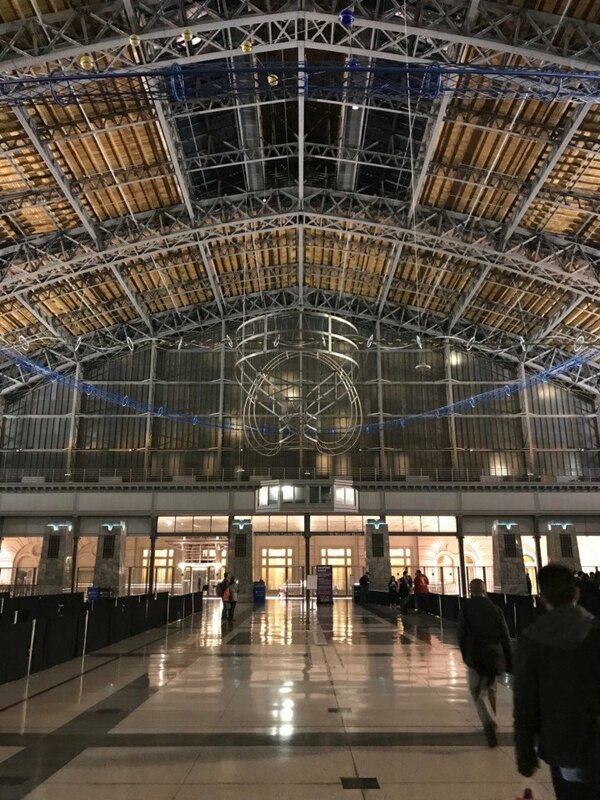 Inside the Philadelphia State Convention Center, the main hall was split in half with an expo hall and free play area. The expo hall was a who’s who of tabletop gaming companies with some very cool games being demoed. Panels and seminars populated the other areas of the convention center. 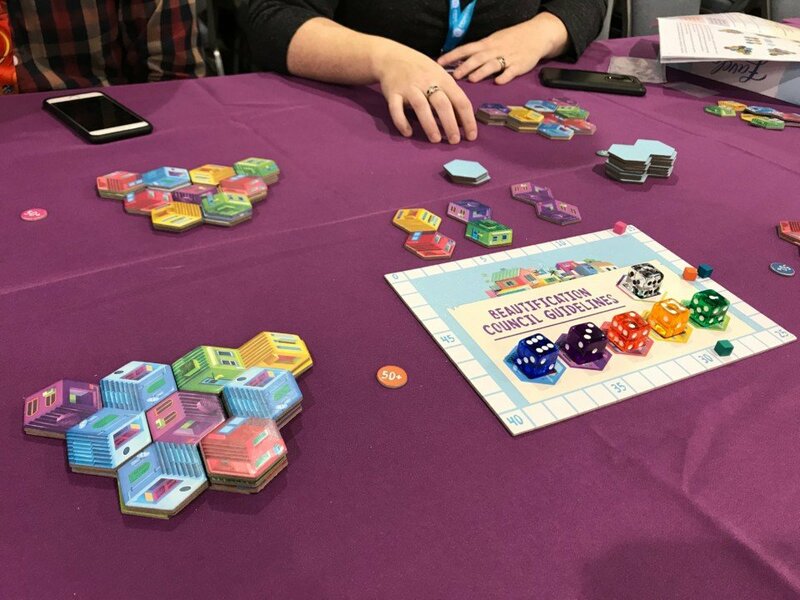 I spent most of my time specifically playtesting and showing off my games to publishers. 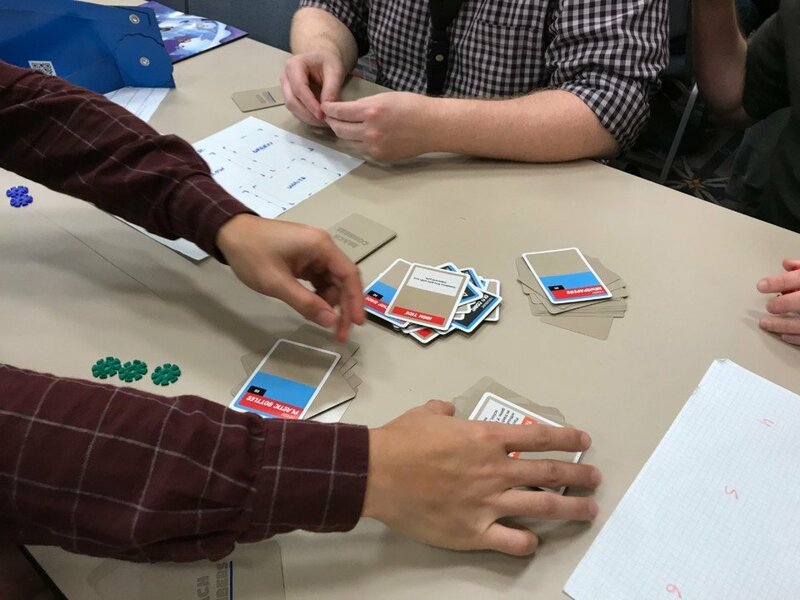 The playtesters and Unpub were great. The whole event was pretty well organized with my table receiving a relatively steady flow of people to test my games. I brought a few games to play but focused most of my attention to testing reaction to Crunchy Leaves and Beach Combers. I got a lot of really great feedback that has me retooling Beach Combers now—not a bad thing at all. Though Unpub has their own system for letting passerby’s know what’s being played, I created my own modular board to inform anyone walking by. When not playtesting or meeting with publishers, I was checking out booths and some of the hot games coming out abroad. From a marketing perspective, especially, it was fun seeing how different companies organized their booths and otherwise got potential customers to buy. One thing that sets Unplugged apart from the other PAX conventions is the lack of huge television displays and video everywhere. Instead large backdrops and, especially, full tables populated more of the exciting booths. It was also fun checking out the new titles developing around the globe. I got to play a house stacking game, Favelas, with a nice elderly couple that was simple, pleasing, and clever at the same time. 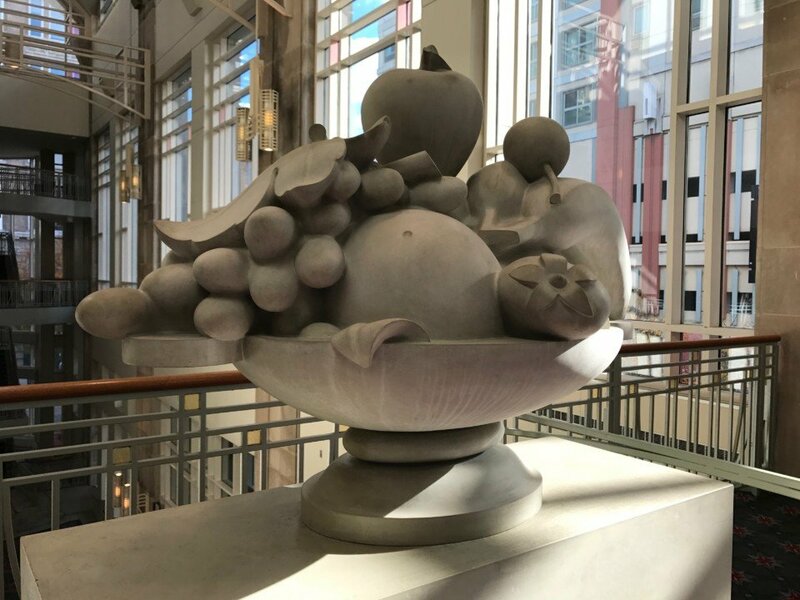 Aside from gaming, the central location of the convention center to Chinatown and X Market made catching a meal a necessity. Whereas sometimes I go to a convention and seemingly forget to eat, the deliciousness outside called to me like a siren to a ship. Lunch, dinner, and sometimes breakfast… yum! 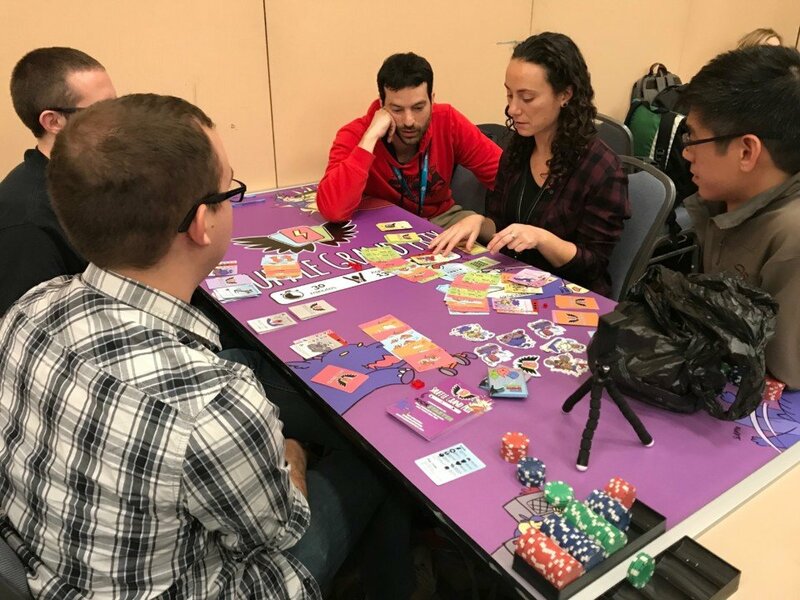 All in all, I had a great time at PAX Unplugged and would recommend it to anyone interested in tabletop gaming. I think it’s a great way to transition into the hobby from video gaming where other conventions might still be a bit too much in the depths of tabletop. Did you go? What are your thoughts?